Good morning everyone, today is my lazy Sunday, so I’m posting and running, it’s not such a lazy day so far and already it’s gone noon but once my post is done I am hoping the lazy part will start, well I can live in hope right? 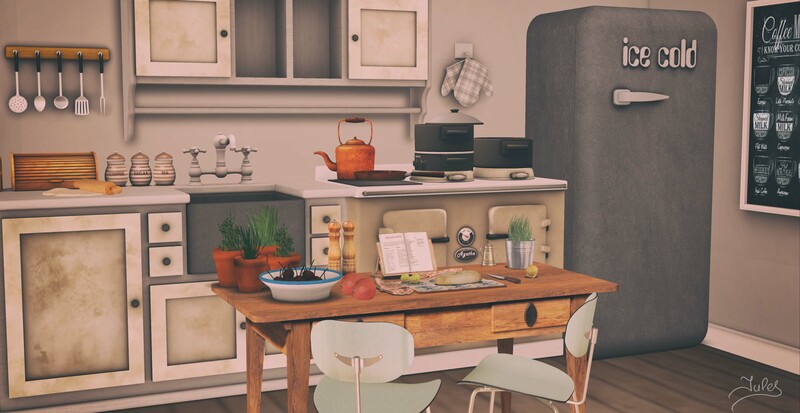 Today I’m showing you the super cute Simple Things set by Thor available now at FaMESHed to accompany that I have the gorgeous cookhouse kitchen by Zen Creations, check below for further details. Beautiful photography, decor items working so well with each other, such a wonderful soft feel to this photo, love it, thank you for including Zen!